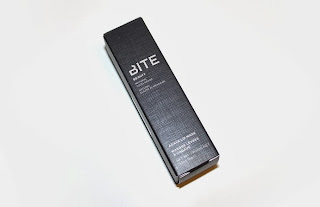 During my latest Sephora visit I picked up the newest product from Bite, Agave Lip Mask. I suffer from horribly chapped lips so any product that promises to repair and hydrate is an instant trial for me. Bite Agave Lip Mask (0.52 oz) retails for $26 USD ($30 CAD) and claims to be a soothing, leave-on lip mask that replenishes moisture in lips. "This innovative, natural formula smooths, nourishes and moisturizes lips with a bio-active blend of organic agave nectar, jojoba oil, vanilla CO2 extract and triple the amount of antioxidant trans-resveratrol found in red wine." This product is free of gluten and petroleum. The packaging is a metal tube with a plastic cap and features a little pointed tip to puncture the tube. 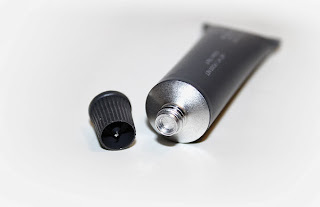 Its the same sort of tube you'd find in medical products or paint -- kinda interesting. Nevertheless, it's simple, matte black and gets the job done. After all, a lip treatment doesn't have to be anything fancy. The product straight out of the tube is slightly yellow and has a texture almost like wax, but once applied to your lips the product warms up and almost melts. The formula is thick and almost tacky (hence it being called a mask.) You can instantly feel the hydration and your lips are left feeling smooth and moisturized. When applied to your lips the product is colorless and leaves behind a shine. There is a slight sweet vanilla scent/flavor -- not like your typical MAC vanilla, but a real vanilla extract which makes sense considering it's an ingredient! 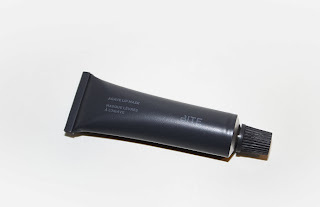 Overall, the Agave Lip Mask improved the dryness and chapped feeling of my lips. It lasted around 5 to 6 hours on me during the day and the entire night when applied before bed. After the product wore off I didn't feel the need to reapply as my lips were left hydrated and smooth. It definitely lives up to its claim. I highly recommend this product to anyone suffering from dry or chapped lips, especially during the colder winter season! Can be purchased from Sephora Online and Sephora Stores for $26 USD ($30 CAD).